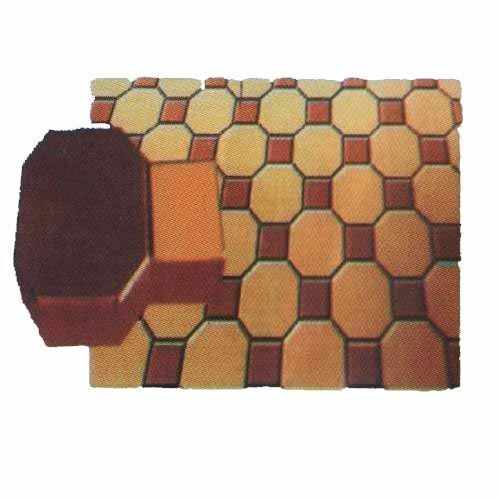 Designed in accordance with clients’ specifications and construction industry standards, our range of Pavers Interlocking Moulds (L) is used for manufacturing chequered tiles, interlocking pavers and wall claddings. These are manufactured using optimum quality raw material such as rubber, which adds strength and flexibility to the range. Available in numerous shapes, sizes and designs, these are in huge demand in the national and international markets. Leveraging on our exhaustive domain expertise and vast industry experience, we have been able to deliver superior quality range of Industrial Construction Equipment and Pavers Interlocking Moulds to our valued clients. Our range encompasses Pavers Interlocking Moulds, Industrial Mixer, Oil Hydraulic Press and Industrial Construction Machine. Under the supervision of our expert professionals, all these products are manufactured using quality assured raw material that is procured from renowned vendors of the market. Manufactured in compliance with the set industry standards, the range can also be customized as per the specific application and requirements of the clients. Further, together with the efforts of our skilled professionals and modern machines at our well equipped infrastructure unit, we are capable of executing even the voluminous demands of the clients within the stipulated time-frame. Our ethical business practices and transparent dealings have helped us in garnering a huge client base across the globe.